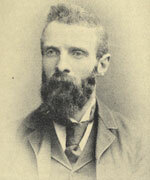 William Quilliam was born on 10 April 1856 into a wealthy local family, prominent Methodists and established watchmakers in the city of Liverpool. Qualifying as a solicitor, he began a successful legal practice in the city in 1878 and developed a stout reputation as someone who fought for the rights of the city’s poor. He had become interested in Muslim teachings while in Morocco, convalescing from an illness. In 1887, at the age of 31, he became the first Christian to convert to Islam in Victorian England. On Christmas Day 1889, he opened England’s first mosque at 8, Brougham Terrace, later adding the surrounding buildings which became a boarding school, lecture rooms and orphanage. In 1893, he began a weekly magazine, The Crescent, and then subsequently a monthly publication, Islamic World, which was distributed in over 20 countries. The copies which survive today provide a valuable record of British Muslims’ life in Liverpool and beyond at the time. As well as welcoming visiting wealthy Muslims, Quilliam also promoted the welfare of Asian and Arab Muslims who served as deckhands on the many steamships to arrive at this, the Empire’s second most important port. He also wrote prolifically, including the book ‘The Faith of Islam’, which was translated into 13 languages and is said to have been read by Queen Victoria herself, who also ordered additional copies for her grandchildren. His promotion of the faith led to around 600 people, some ordinary citizens, some learned and prominent scholars, to embrace Islam. Inevitably, a certain amount of controversy and hostility from wider society tinged an otherwise successful career; and Quilliam eventually left the country abruptly in 1908 on hearing that he was about to be struck off as a solicitor, apparently for presenting facts in a divorce case that he knew to be wrong in court. Without his leadership and financial investment, Liverpool’s Muslim community dispersed, many moving to England’s first purpose-built mosque in Woking, Surrey. He returned to the UK in around 1914 under an assumed name. On his death, he was buried in Brockwood Cemetery in Woking alongside fellow Anglo-Muslims, many famous, as he had been, for spreading the faith throughout England. The buildings which constituted England’s first mosque were for a time used as a register office by the Council, then fell into disuse. 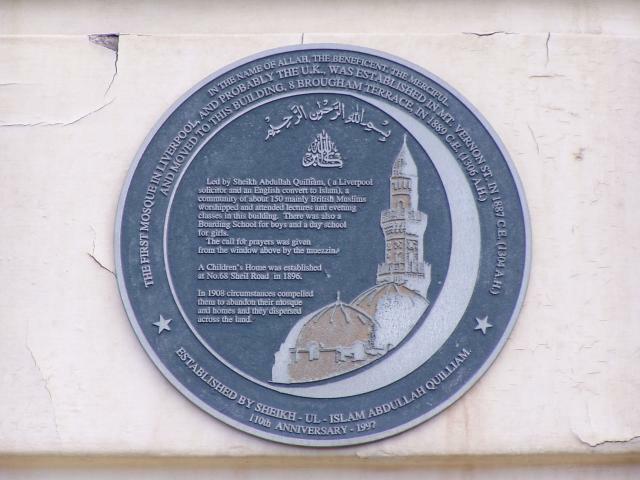 In recent years, the Abdullah Quilliam Society has successfully reopened the mosque and continues to fund-raise for the restoration of the remainder of the buildings. Henry was born and brought up in Walton, Liverpool. After apprenticing at sea with Messrs James Chambers & Co, Henry learned quickly and rose through the ranks to become a junior officer with the White Star Line in July 1897. After time served as Chief Officer on RMS Olympic under Captain Edward John Smith, future captain of the Titanic, it appeared he was due to take up command of a ship of his own. 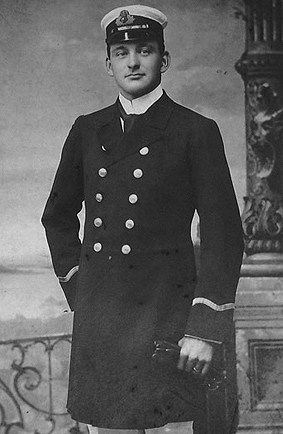 Instead, he received orders at the last minute to join Smith on the Titanic on her maiden voyage. He was off duty when the ship struck the fateful iceberg at 11:40pm on 14 April 1912, so his recorded movements in the early stages of the disaster are not entirely clear. What is certain is that he was instructed to oversee the loading and lowering of the even-numbered lifeboats in the port-side of the ship. Amid the panic and confusion, an eyewitness and fellow officer stated, Wilde had been first to suggest they should arm themselves with standard-issue revolvers to act as a deterrent against those who sought to save themselves at the expense of others. These were needed later when he had completed his work on the port-side and then turned his attention to loading collapsible D on the starboard-side. Crowds of distressed passengers threatened to interfere with the rescue attempts and Wilde ordered a ring of men to surround the boat so that it could be loaded safely. Some reports say that the final sighting of him was of him smoking a cigarette, waving farewell to a fellow officer while making no attempt to save himself. The reasoning behind this was said to be that, in late 1910, he had lost his wife and twin sons, possibly to scarlet fever; and had been heard to state that since his wife had died, he no longer cared ‘how he went or how soon he joined her’. However, many have since discounted this theory as unlikely. It’s believed instead that he was last seen trying to free collapsibles A and B from the roof of the officers’ quarters and later died of hypothermia in the icy waters. His body, if recovered, was never identified. 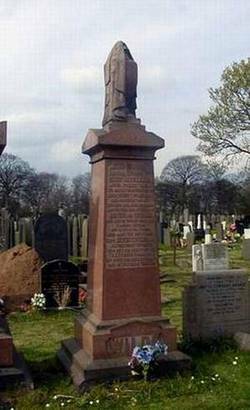 However, he is remembered on the family grave in Kirkdale Cemetery, marked by an obelisk and gravestone. The inscription simply reads “Also Captain [sic] Henry T. Wilde, RNR Acting Chief Officer Who Met His Death in the SS Titanic Disaster 15th April 1912 aged 38 years. ‘One of Britain’s Heroes’”. It’s the stuff of fairy tales: the giant who goes to London to meet the king and beats the Royal favourite in a wrestling match. But though the story of John Middleton has largely been carried down through the generations by word of mouth, there’s evidence enough to show he truly did exist. His grave in the parish churchyard records his height at 9ft 3”, although later estimates suggest that he may have stood at around 7ft 9 – still pretty tall, by anyone’s standards. It’s thought that John was born an ordinary child, but in one version of the story, he drew a huge outline of a man in the sand on the banks of the Mersey while out playing. Falling asleep within the outline, he woke to find he had grown to fill it. He was so big, it’s said, that he slept with his feet sticking out of the window of his tiny cottage. Inevitably, he got noticed and Gilbert Ireland, a local landlord, employed him as a bodyguard. This gave him the opportunity of meeting King James I who stopped off on his way back from Scotland to knight Gilbert. Fascinated by his size, the king invited John to visit his court in London. John turned up dressed in a magnificent outfit of purple, red and gold made especially for the occasion. There, to the king’s embarrassment, the giant beat the king’s favourite wrestler, breaking his thumb. The courtiers, who’d bet on the king winning, lost much money and James I awarded John £20 and sent him on his way. There’s evidence that Sir Gilbert Ireland accompanied John on his trip and together, they visited Brasenose College Oxford, where Sir Gilbert had studied. To this day, a portrait of John in all his finery remains at the college and the first rowing team is named in his honour. He’s alleged to have left his mark in other ways too: in June 1668, Samuel Pepys’ diary records that he visited Brasenose and saw in the cellar the handprint of ‘the Childe of Hales’. Unfortunately, the handprint no longer survives. 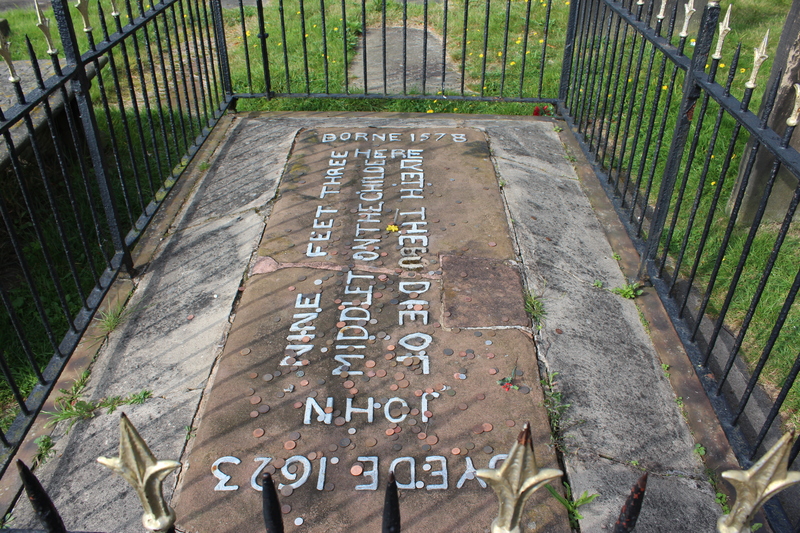 In Hale, the story lives on through the villagers’ memorials to John Middleton. His grave can be seen in St Mary’s Churchyard. 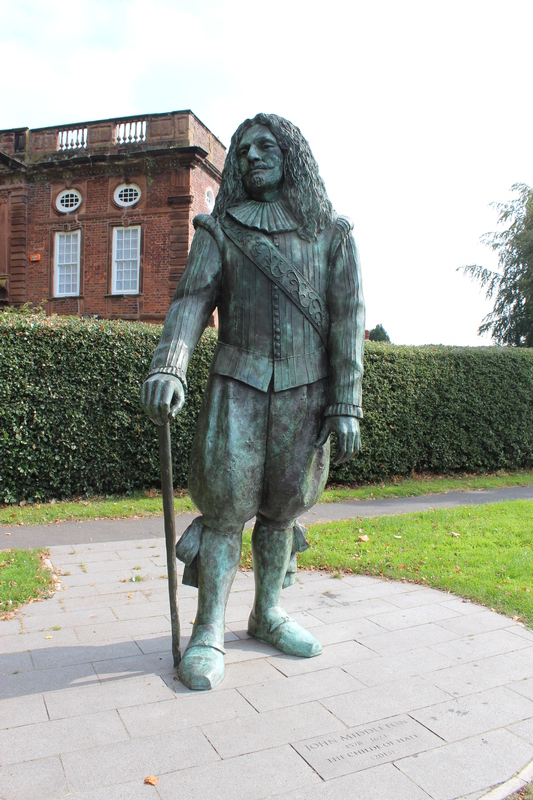 Also, a bronze statue of the giant stands on the small green outside the manor house, replacing an earlier wooden carving which had to be removed because of disease. And a recent film by Richard Whitby, acted by the villagers of Hale, will show several versions of John Middleton’s life, at the Bluecoat Chambers on 24 September 2014, 7pm-9pm. For further information, contact mail@richardwhitby.net or see childeofhale.wordpress.com. There is no doubt that animals hold a special place in our hearts. This is especially true of Liverpool folk. Did you know that the first ever animal charity in the world is said to have been started in Liverpool? In 1809, a group of concerned people met in a coffee house on Bold Street and set up a society “for the suppression and prevention of wanton cruelty to brute animals”. It’s likely that their interest at that time was in the conditions of the countless horses and other animals working round the city rather than domestic pets, but as the years passed, this charity became part of the RSPCA, which spends a great deal of time and money each year on stopping cruelty to all animals. These days, we welcome pets into our homes and they’re more likely to become a part of the family than carry out tasks for us. We take care of them and they repay us with love and devotion. And so it’s always devastating when your pet dies. They leave a big hole in our lives. We hold them in our hearts forever and nothing but time can take away the grief. However, what we’ve found is that it often helps to have a reminder, a physical memorial, as a way of recording the loyalty they offered you throughout their lifetime. 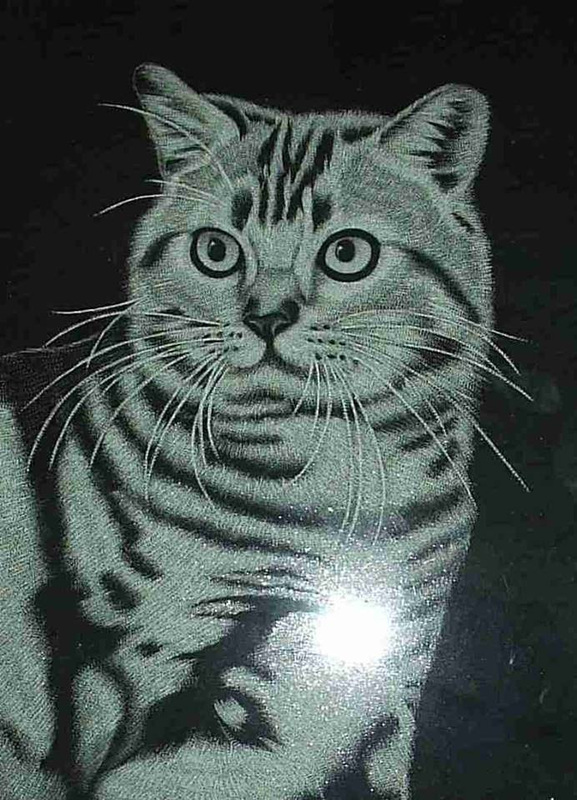 At Sarsfield Memorials Liverpool, we offer a range of tasteful yet affordable ways to remember your faithful friend. 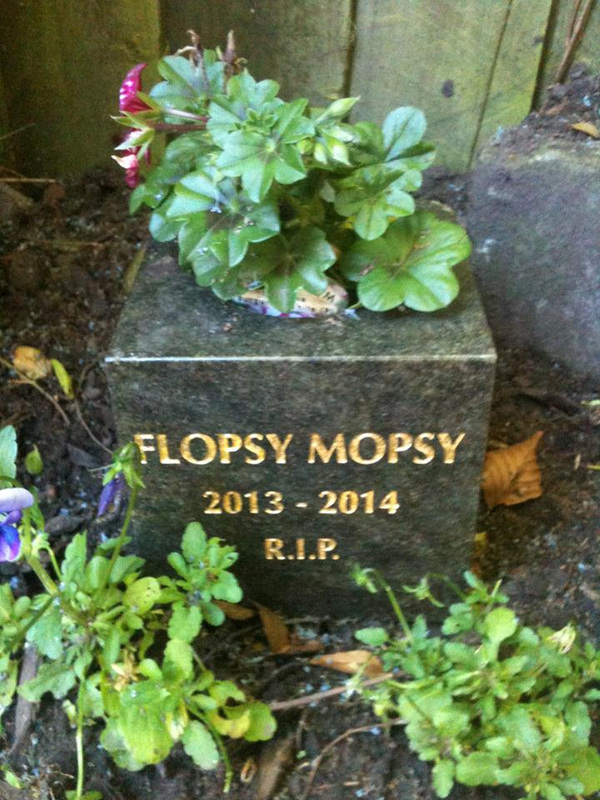 Whether you’d like to place a small plaque in your home or garden in your pet’s favourite spot, you’d like a grave marker or even a pet headstone to stand in one of the specialist pet cemeteries in Liverpool, we’d love to help you design a lasting, personal tribute to your much loved companion. 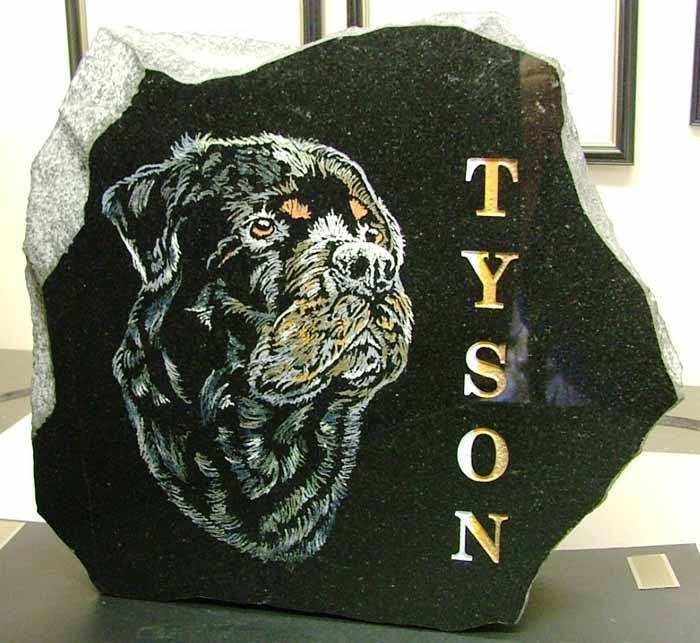 Most memorials can incorporate a personal inscription or even a photograph of your beloved pet, so you and your family can remember them in happier days. Look out for our dedicated page on the website, coming soon, with photographs of some of the many pet memorials we have crafted for previous customers. In the meantime, if you have any queries or special requests, we’d be pleased to advise you on how you can remember your loyal, loving pet with affection.